SIUE offers more than 450 scholarship opportunities. Prospective Academic Student Scholarships are available only to students entering in the fall term. Out-of-state tuition awards are available for all terms (fall, spring, and summer). 12/1/2018 including submitting the Supplemental Profile online. Admission application serves as scholarship application. 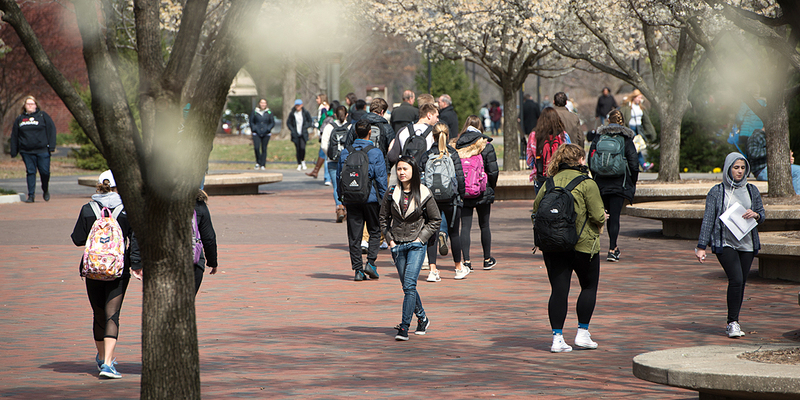 Up to $8,000 over 4 years as funding is available Admitted freshmen with an SAT ERW + M only ≥ 1130 and/or ACT ≥23 and transfers (3.0 GPA in at least 24 semester hours in transferable coursework) will be considered. This scholarship is designed to support enrollment of students who are underrepresented in their anticipated field of study. Admission application serves as scholarship application. $2,000 awarded to Phi Theta Kappa-quality transfers admitted in an undergraduate program for fall term entry. One-time award as funding is available. Students transferring from a regionally accredited institution must have earned a minimum 3.5 GPA in at least 24 hours of course work that is transferable to SIUE, including students with a recognized associates degree. Students must be members of Phi Theta Kappa academic honor society. All students who meet the criteria are encouraged to apply. Preferential consideration will be given to students completing the application for admission on or before 12/1/2018 and filing the FAFSA as soon as possible beginning 10/1/2018. Up to $4,000 per academic year as funding is available. Potential for renewal is based on financial need. Newly admitted freshmen entering in the fall semester. Free Application for Federal Student Aid (FAFSA) required. SIUE FAFSA code: 001759. Awards made to the neediest based on FAFSA results. Geographic Enhancement Opportunity (GEO) International freshmen and transfers meeting criteria are eligible for $8,686 (based on 12 semester hours of credit) as funding is available. First-time, full-time admitted international students (3.0 GPA and 79 TOEFL, or equivalent), or students who have been recognized through a competitive departmental process. Scholarships may be awarded from a variety of sources other than the University. View a list of some government / outside scholarships. Illinois Student Assistance Commission (ISAC) has a number of Illinois scholarships available. Scholarship searches are a good way to help find outside scholarships that a student may be eligible to receive. FastWeb and College Board are helpful sites. Students should beware of scholarship scams. If you want to apply for a scholarship but are not sure whether it is legitimate, visit the Federal Trade Commission for scholarship scams.